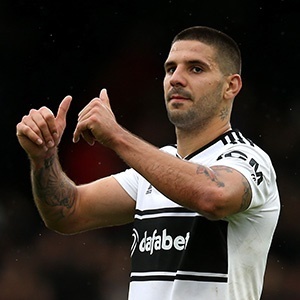 London - Fulham were relegated from the Premier League as a 4-1 thrashing against Watford on Tuesday brought a fitting end to their turbulent one-season stay in the top flight. Scott Parker's side had to avoid defeat at Vicarage Road to stave off their inevitable demise for a few more days. But second-bottom Fulham, 16 points from safety with five games remaining, slumped to a ninth successive loss that confirmed their relegation to the Championship. Abdoulaye Doucoure put Watford ahead in the 23rd minute before Ryan Babel's equaliser 10 minutes later briefly gave Fulham hope. Fulham's fate was sealed in the second half when Will Hughes, Troy Deeney and Kiko Femenia all netted for Javi Gracia's men in the space of 12 minutes. "Obviously bitterly disappointed, devastated for the football club and fans," Parker said. "We always knew it was a tough ask. It's the way we lost the game which was most disappointing for me. "The five or 10-minute spell from 2-1 onwards, that was our season in a snapshot. "We played some nice bits at times, but at the end of the day you are where you are." On Saturday, bottom-of-the-table Huddersfield became only the second team after Derby in 2008 to be relegated from the Premier League in March with six games left. Three days later, Fulham followed Huddersfield through the trapdoor in what ranks as the third earliest relegation in the Premier League era. Despite a close-season investment of over £100 million on new signings - the most ever spent by a promoted Premier League club - the Cottagers went down with a whimper. "When a club gets relegated you know there are some serious issues. I have ideas, but it's not the time to broadcast it," Parker said. "The team owe it to the football club and fans to go out in the last five games and give something back, although it'll be very little. The next five games, we will crack on." Fulham have lost all five matches under caretaker manager Parker, but they were already destined for relegation long before he took over as the club's third boss this term. Slavisa Jokanovic was sacked in November as Fulham owner Shahid Khan tried to lift his team out of their wretched run. But his replacement Claudio Ranieri fared even worse and was axed in February after Fulham fans turned on the Italian following seven defeats in eight league games. It was fitting that Fulham's futile stay in the Premier League ended on the road as they have been historically bad in away fixtures. They have lost their last seven consecutive away matches and have not won away in the league for almost a year, with their tally of just two points away from home this season the lowest in the top four tiers of English football. Fulham have also conceded at least twice in 13 consecutive league games, both home and away. In contrast, Watford's victory was the ideal preparation for Sunday's FA Cup semi-final against Wolves at Wembley. Watford's 13th league win this season is their most in a top-flight campaign since 1986/87. The Hornets have also eclipsed their Premier League club record of 45 points, set in 2015/16.